The votes are in, and New York lawyers made it clear AGAIN. NYSTLI has continued its tradition of excellence and has reaffirmed its title as BEST CLE PROVIDER in the New York Law Journal's "Best Of" Survey, holding the statewide honor for the sixth year in a row. 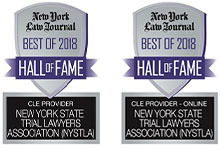 In addition, NYSTLI has been named BEST CLE PROVIDER ONLINE for the year 2018. NYSTLA is proud to have celebrated Law Day 2018 with a speech by keynote speaker Senator Charles E. Schumer. Gary LaBarbera, President of the Building and Construction Trades Council of Greater New York, who received NYSTLA's Champion of Justice Award. Practice & 2 Ethics Credits) and the tools to win. The Capital Affiliate celebrated its 23rd Annual Judicial Recognition Dinner on Thursday, October 19th, drawing together members of the bar and bench. NYSTLI NAMED BEST CLE PROVIDER FOR SIX YEARS RUNNING! "NYSTLA is much more than a Bar Association. They make sure that my practice is safe and I can spend my time helping my clients." "NYSTLA staff is amazing. They keep their eye on legislation at the federal, state and local levels." 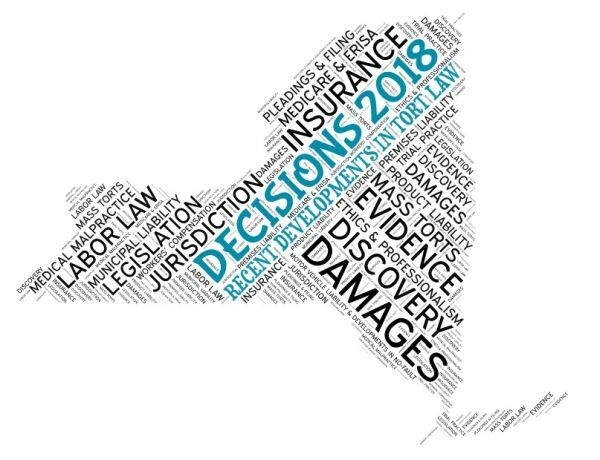 "As always, this (Decisions) is the ultimate course for the personal injury attorney practicing in New York." "DECISIONS is THE seminar for trial lawyers – I wouldn't miss it for anything." "Why bother going elsewhere? NYSTLI's seminars are timely, entertaining and marvelously informative." "Every time I attend DECISIONS, I come away with golden nuggets of information that are extremely helpful to my clients’ cases." Do you have specific feedback on the NYSTLA website? Please fill out our feedback form and leave comments on how we can enhance the website to serve you better.